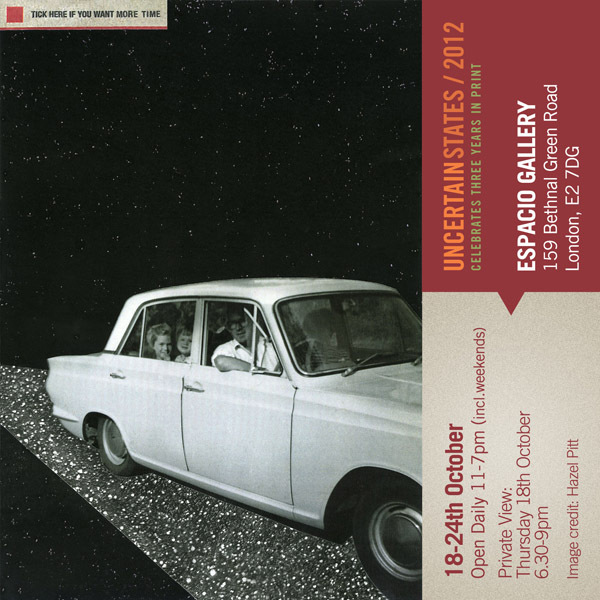 I will be showing some new work in a group exhibition at the Espacio gallery in London. The exhibition is organised by Uncertain States, who are a group of artists who showcase new work by established and emerging artists through a quarterly newspaper and regular events. The p.v is 6.30pm on Thurs 18th Oct.